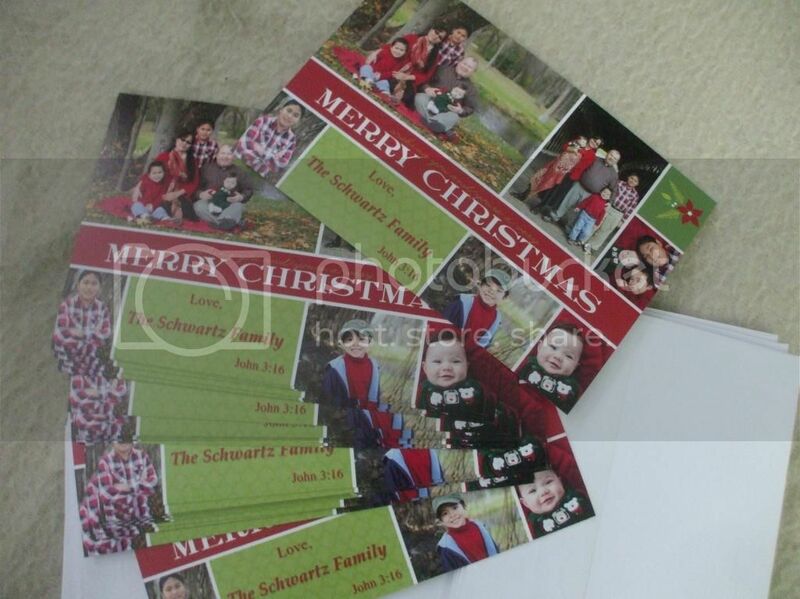 I am so glad I was able to use our family photos and printed them out into a personalized Christmas cards. The store where I printed out the cards have a machine that lets you pick the card design you like and add text into it. What's the good thing about it, is that I was able to put solo pictures of each of my children and two family photos. I also added one of my favorite verses which is the heart of the Bible and our last name. It came with envelopes too. All I need to do is put names and addresses on it. I am loving it! Well, today I will be busy working on it so I could send it out before Christmas day comes. That is one thing I failed to do this year sis so I just sent out ordinary cards. Ok lng yan sis, you are a very busy momma kasi. The ordinary cards are also good, I did that for few years and I just added verses or messages on it. Maybe next year you will be able to do it again. We planned this 3 months ago and this is our first personalized Christmas cards. PM me your addy so I can send you a card, not this year but in the coming years hehehe.. It's always nice and sweet to send a personalized cards.